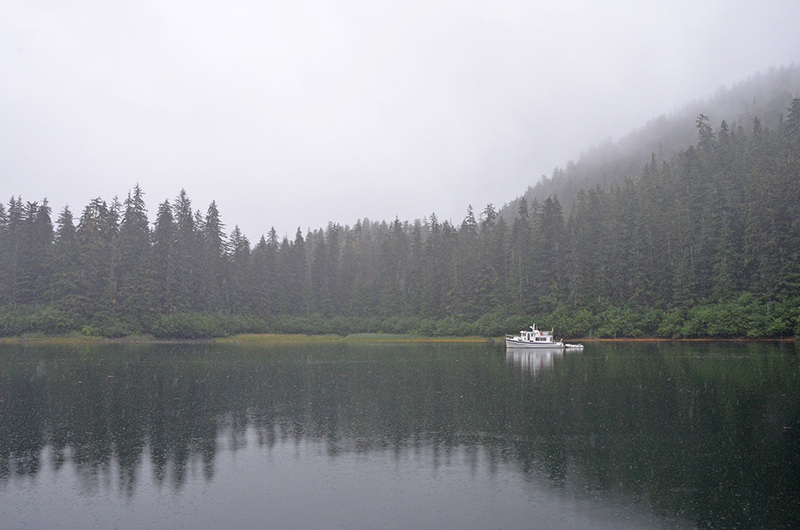 I woke up to the boat rolling and the sound of waves slapping along the hull. Inside Swanson Harbor the wind was breezy—12 to 15 knots, with a foot of chop. Time to go somewhere more protected. As I exited Swanson Harbor the chop built to two feet, then three. 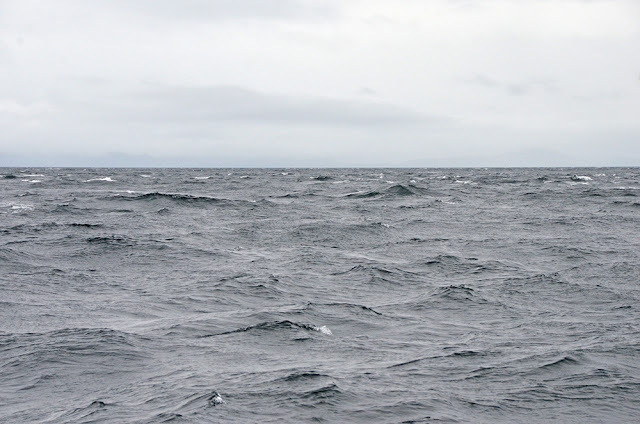 I spotted a whale swimming around a rocky pinnacle, but given the wind and chop I didn’t linger. Soon after leaving Swanson Harbor I made a big turn to starboard, into Icy Strait, and put the wind and seas behind me. I didn’t really have a destination in mind. 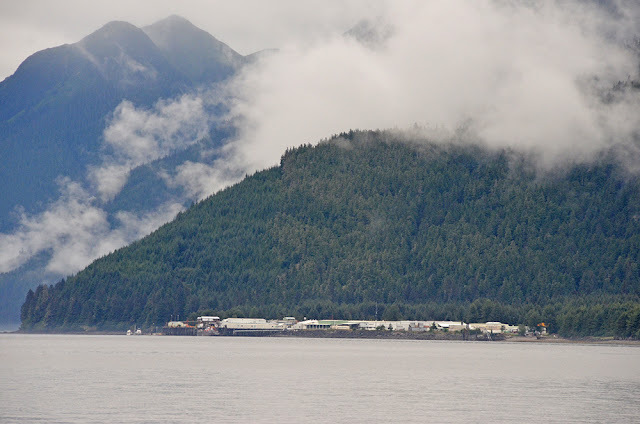 I’m planning on doing a flight seeing trip with Kevin and Laura from Hoonah on the 25th, so I didn’t want to go too far from Hoonah just to backtrack later. 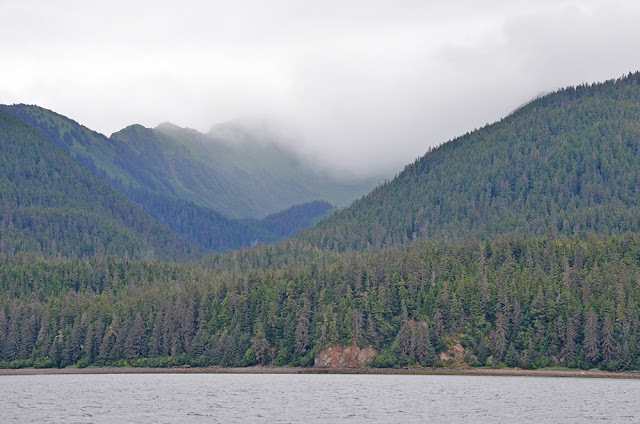 Verizon service is generally poor in Alaska, but I was able to get enough of a signal to make plans to rendezvous with Kevin and Laura in Sawmill Bay, at the head of Excursion Inlet. Excursion Inlet, or at least parts of it, are part of Glacier Bay National Park, but no permit is required to enter. Sawmill Bay is at the head of the western arm of Excursion Inlet. It’s a beautiful setting without a hint of human presence—forested hills give way to mountains covered in verdant meadows and then snowcapped peaks. Be warned, though, the chart showing the anchorage is inaccurate. A large, rocky, drying shoal juts out from the east side of the bay. 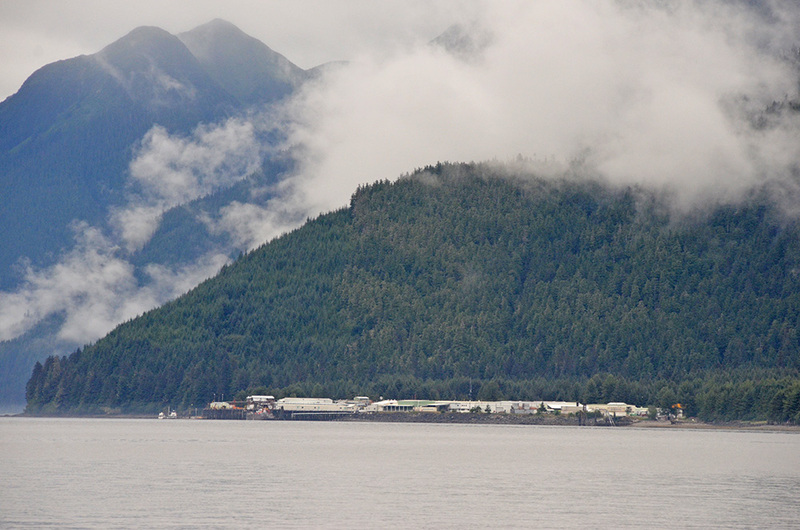 Elsewhere in Excursion Inlet there’s quite a bit of development. Ocean Beauty Seafoods has a giant fish processing plant. Next door is a public float in rough condition. Ashore there’s a small store (with a surprisingly good selection), a museum that appeared to be permanently closed, and several collapsing buildings. During World War II a military base had been constructed here, then turned into a German POW camp. Apparently 1200 POWs were held in Excursion Inlet and only two attempted escape. Both returned to the camp after frightening bear encounters. We explored the entire shoreline by dinghy. No bears, unfortunately, but we did see a humpback. It was pouring at the time, so no pictures.